You are here Home " Will It Be a Bad Winter? Will It Be a Bad Winter? When the cold weather first rolls around in New England, meteorologists are asked, “Will it be a bad winter this year?” By “bad winter,” most people mean a winter that has higher-than-average amounts of snowfall. This is an especially important question asked by snow removal companies, as they rely on Mother Nature to provide income throughout the winter. To help answer this question, we have to look at what factors contribute to snow. First of all, the temperature of the air needs to be below freezing (32 degrees Fahrenheit or less) both up in the atmosphere and at ground level. However, if the air is too cold, the clouds won’t be able to hold as much moisture. Speaking of which, there has to be moisture in the air, since snow is formed by water turning into ice crystals before falling. With these two factors, snow can occur. But how does snow get to where we’re located? Usually, cold air from the north comes down and meets warm air moving up from the south. When they combine, a storm front forms and precipitation occurs. The amount of snow a storm can deliver varies. If storm passes over the Atlantic Ocean and gathers more moisture, a phenomenon called a nor’easter occurs–characterized by heavy wet snow in large amounts. “So, how much snow are we going to get?” It’s hard to say exactly, however, weather trends predict an El Niño will occur. El Niño is a warm front that brings mild temperatures and wetter conditions up from the south. On its own, the presence of this warm front would not result in much snow, as fluctuations in temperature usually result in sleet, hail, and freezing rain. 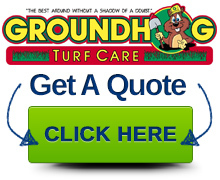 But don’t worry, Groundhog Landscaping is well equipped with snow removal equipment to help keep your driveways and parking lots free of snow and ice. 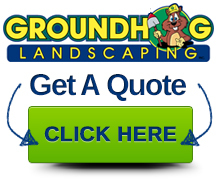 Should You Hire a Landscaper…or Do It Yourself?